High quality critical care medicine is a crucial component of advanced health care. 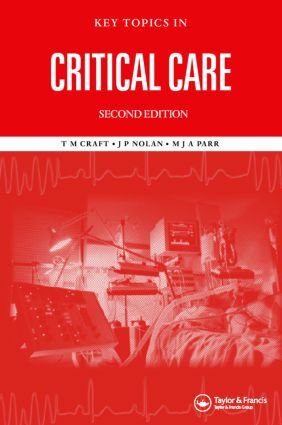 Completely revised and updated, Key Topics in Critical Care, Second Edition provides a broad knowledge base in the major areas of critical care, enabling readers to rapidly acquire an understanding of the principles and practice of this area of modern clinical medicine. Expanded to include the latest hot topics, the new edition puts an increased emphasis on recent reviews and contains added references to key landmark papers. Using the trademark Key Topics style, each topic has been written by an expert in the field and includes a succinct overview of the subject with references to current publications for further reading. The book provides a framework for candidates of postgraduate medical examinations such as FRCS, MRCP, and FRCA and a reference that can be consulted in emergency situations.